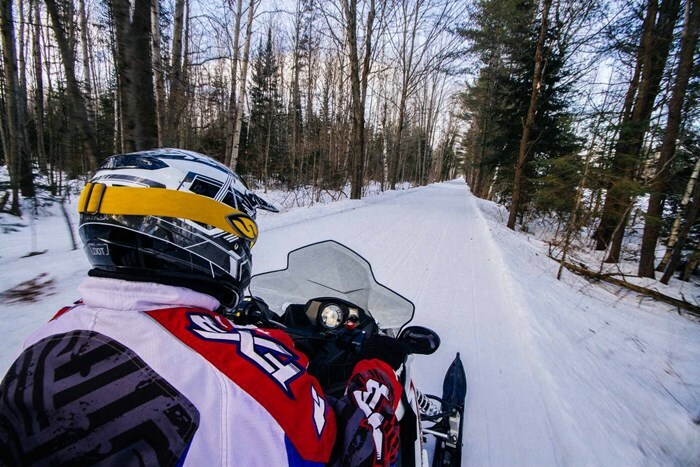 The best snowmobile loop in Ontario – that's a pretty bold claim. 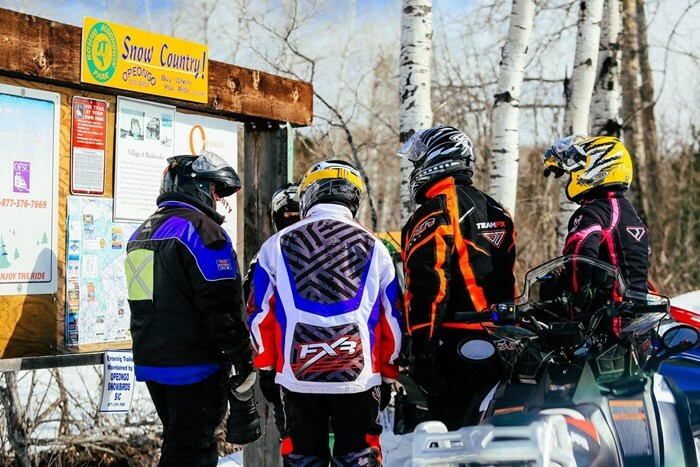 We have the worlds largest interconnected series of snowmobile trails, with a virtually unlimited amount of potential loops to be ridden using TOP trails, connectors and local club trail – you could ride half the province in one gigantic loop if you wanted to. 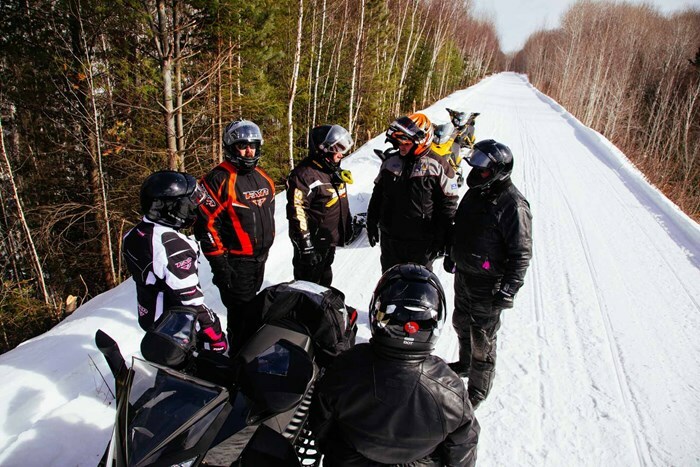 But there's something special about the Round Algonquin Park (RAP) Tour showcases some of the best snowmobiling to be had in all of Ontario, in one remarkable circle around our oldest and most beloved provincial park. 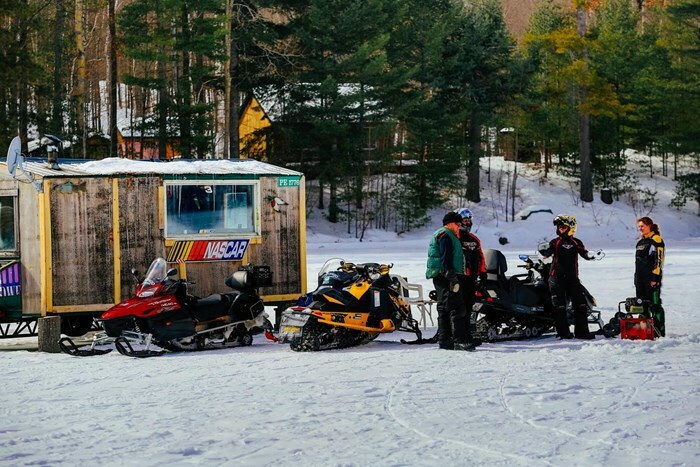 It’s generally considered a 3 or 4 day tour, but some extend it to 5 days with side trips to ice caves, abandoned mica mines, lookouts and twisty local trails. Over the last number of years the OFSC and its clubs have spent a considerable amount of effort improving the infrastructure and signage along the route, including RAP Trail guide “You are here” boards, and trail indicator signs along route for that extra level of comfort and peace of mind. But make no mistake, the RAP tour was originally created by businesses and clubs working together, and this is probably what’s accounted for it’s longevity, if not it’s success. The RAP is famous for wildlife sightings including Moose, Deer, Lynx, Rabbits and even Timber Wolves, but to be honest, all we saw were deer. Sure, deer are great, but you get used to this sort of thing in the north. If you’re a city kid and that floats your boat, you’ll love the RAP. 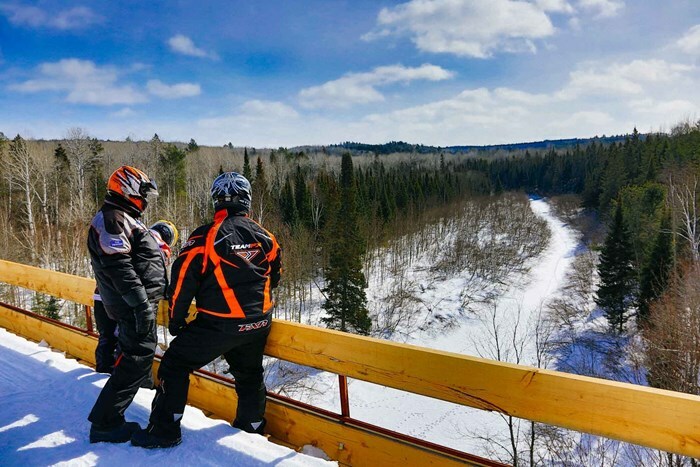 The tour spans trails TOP A on the east and north side of Algonquin park and TOP B on the south side of Algonquin Park and TOP D & D101B on the west side of the park. This multi District tour reaches through 6, 7 & 11 and treats you to 14 individual club networks that form this incredible loop. 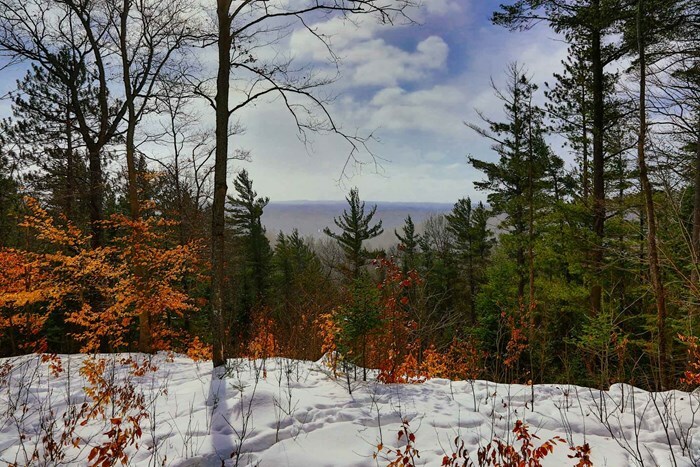 While it only passes through Algonquin Park at one point, those who are familiar with the splendour of the park will be treated to the same kind of landscapes all the way along. So how does has the RAP seemingly come out on top again and again when sledders are asked what their favourite loop is? Three main things come to mind for me, after talking with people all along the route (and even a group of two couples that seemed to shadow us the entire trip) I think I’ve put together a pretty good picture – one that will hopefully entice you to ride the RAP if you haven’t already! 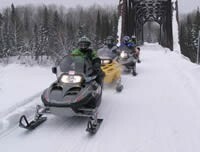 The diversity of trail found on this tour is one of the reasons why it is so popular, from the maple forests of the Almaguin and Haliburton Highlands, where trails wind back and forth over hills and through valleys to the vast hydro and gas corridors that run alongside the Ottawa River from Pembroke to Mattawa. Yes, every article about a tour loop seems to sing that same refrain “it has a bit of everything” – but this is particularly true on the RAP tour – because you’re travelling from the coniferous forest (the ones that lose their leaves) to the deciduous (evergreen) and through areas of great tectonic upheaval (there were big quakes there at some point) you get variety. 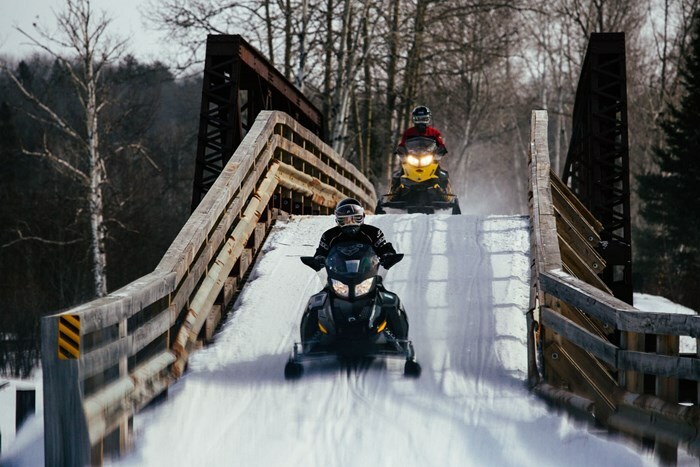 And you get some awesome straightaways where you can find out just how well engineered your sled is! On this particular tour, we started out of Rickward’s Motors in Kearney. This is probably one of the best known staging points on the west side of the loop. We actually spent two nights at Cedar Gables in Bonfield, and I can honestly say, I’ve never felt quite as warm a welcome, without being overbearing. I’ve seen all kinds of rooms with beds, and there is a level of care and attention at Cedar Gables that we just don’t see everywhere. 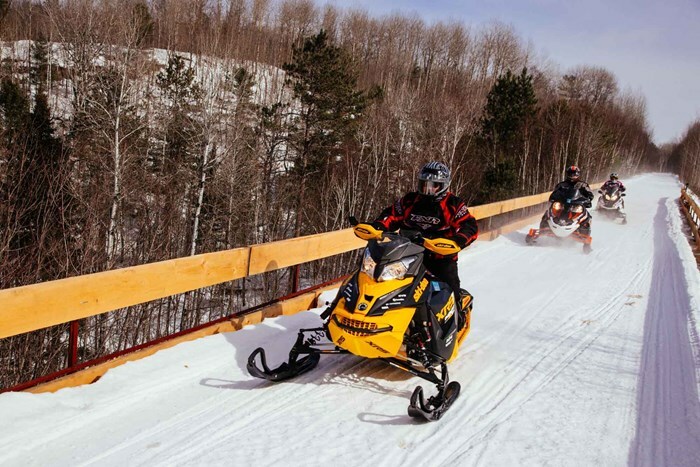 Finding gas in Mattawa was a breeze, as was finding oil, and the town allows sleds on the streets and gives access to dozens of smaller local trails. Our third night was at the new Holiday Inn in Pembroke, and I think we all agreed that those new beds gave us some of the best sleep of our trip. Our final accommodation was Spectacle Lake Lodge, a place I’d visited before but never stayed at. As we all had to shuffle around the rooms, I got to see the rooms in the main lodge and the cabins – my preference leaned towards the lodge rooms, but if you’re with a tight group that’s focused on spending time together (the guy next door was deep-frying a turkey out front of his cabin) you can’t beat this. I can’t say enough about their dining room and food either. It’s no secret that I like to eat, but I am pretty discerning – I’m from Toronto, and can have any type of cuisine I want, at every level of luxury, and Spectacle Lake was the best meal of the trip. I would also recommend it for summer trips, because I’ve seen the work host Sharon Muhassier has put into her flagstone patio. 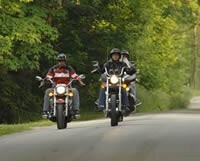 For a complete list of accoms and clubs along the way, click here. 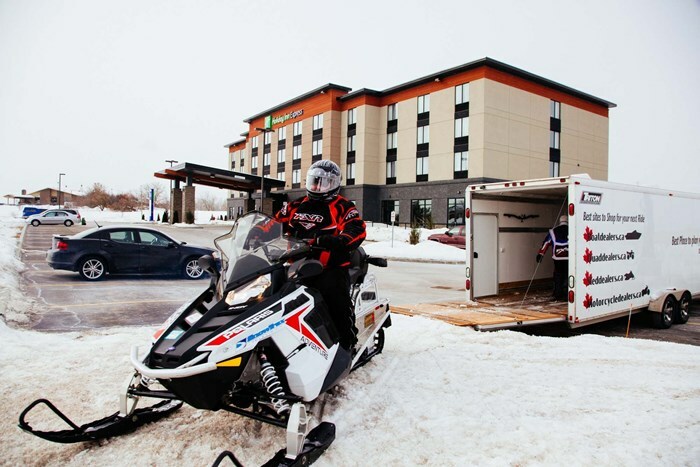 For complete information about sledding in Ontario visit www.GoRideOntario.com. 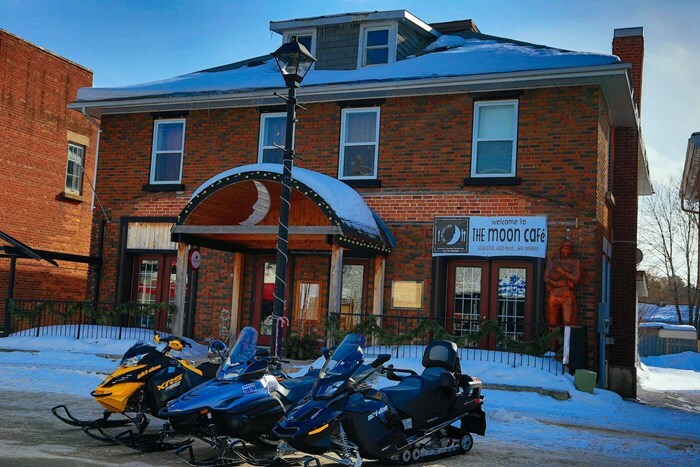 If you’re looking for a 3 to 5 day tour that can be staged from any direction in the south of Ontario, where you know the trails will be properly groomed, there will be plenty of access to gas, and the accommodations will feel like a second home – well, look no further. It’s the RAP tour.